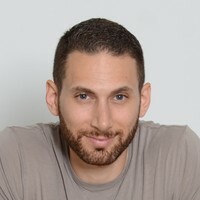 Jonathan Levi is an experienced entrepreneur, angel investor, and lifehacker from Silicon Valley. Since 2014, Jonathan has been one of the top-performing instructors on Udemy, with his course Become a SuperLearner® (now retired) earning him over 60,000 students. He has since snowballed this success into the launch of his rapidly growing information products company, SuperHuman Enterprises, which produces such products as the award-winning Becoming SuperHuman Podcast (2 Million+ Downloads); the bestselling "Become a SuperLearner®" print, digital, and audiobooks; and numerous online courses. He's also the founder of SuperLearner Academy™ and Branding You™ Academy, two private, online academies where he teaches premium-level masterclasses in accelerated learning, productivity, and entrepreneurship. He is based in Tel Aviv, Israel.